She Works and Lives By the Golden Rule; “Do Unto Others As You Would Like Them To Do Unto You. Having lived in South Florida since she was two years old, she have certainly seen the growth. She have been a Real Estate Professional since 1976, successfully serving the South East Florida Residents with their real estate needs. She is currently a “Director” of the local board of realtors, and have served previously for 12 years as same. She is very active in the real estate profession, and she looks forward to assisting those who wish to have the services of a real estate professional. She is also a Member of the Commercial Committee so if you may have any commercial needs, she can also help! 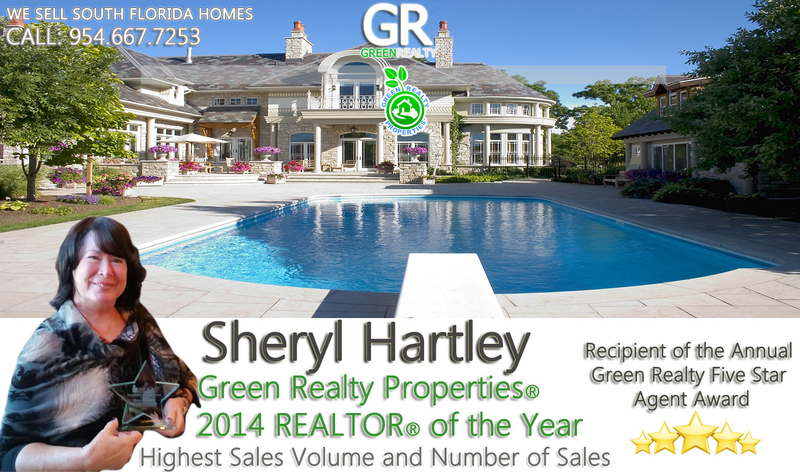 Congratulations Sheryl Hartley for being Green Realty Properties 2014 REALTOR® of the Year! We are truly honored that you are part of our team!